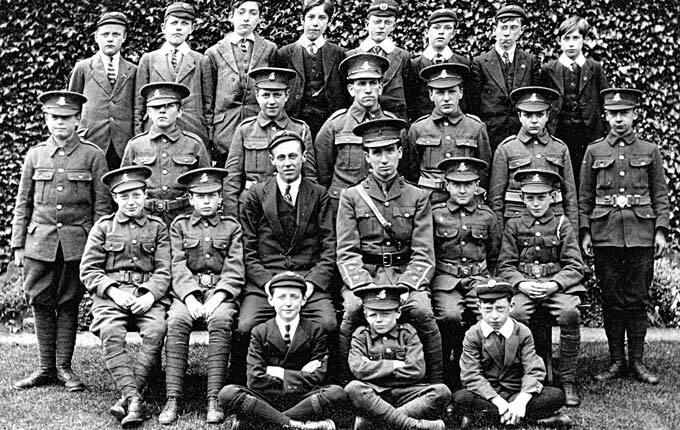 This photograph, taken during the First World War, shows a group of pupils - some of whom are dressed in cadet uniform - from one of the school Houses. The School Cadet Corps was formed in 1915, with the headmaster in the role of Captain Dyson. The school yard was, at times, more of a miniature barrack square.